Are you looking forward to receiving the best chiropractic care from Dr. Allen Conrad? 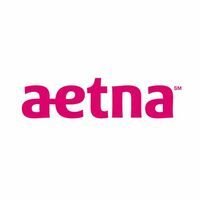 Do you possess Aetna health insurance plan? Our office is an In-Network provider for Aetna HMO and PPO, and we are here to help you with your chiropractic injuries. Aetna Inc. is an American managed health care company, engaged in selling traditional and consumer-directed health care insurance plans. Also, services like medical, pharmaceutical, dental, behavioral health, long-term care, and disability plans are a part of it. A member of the Fortune 500, Aetna Inc., has its headquarters in Hartford, Connecticut, United States. Chiropractic care is now a covered service by Aetna, and Dr. Allen Conrad has been helping patients with Aetna over the past 17 years. Offering health insurance, along with dental, vision and other plans, to cater to the diverse needs of individuals and families, employers, health care providers, and others, has been helping about 37.9 million people make decisions about their health care and their health care spending. Why Aetna health insurance is beneficial? Bad health comes with huge expenses. An individual spending a significant amount of money can come under financial pressure within no time. However, with health insurances like Aetna PPO, one can avoid spending a significant amount and rather use health insurance for their health care. If interested, you too can pay for your services through Aetna health insurance and cover all services without losing all your savings. Our chiropractor can check your Aetna coverage for you, let you know how many visits you get per year, and set you up with an initial examination to see how we can help you. Why is Dr. Allen Conrad the best Aetna chiropractor in Lansdale, PA? A well-recognized chiropractor in North Wales and Lansdale, PA area, Dr. Allen Conrad is the network provider for Aetna. Backed by seventeen years of experience in the field, Dr. Allen Conrad has been helping various patients with their conditions through his exceptional chiropractic services. Holding specialization in Chiropractic, Musculoskeletal Rehabilitation, and Rehabilitation, Dr. Allen is the Team Chiropractor for the Blackthorn Rugby Club, in addition to being a Certified Strength and Conditioning Specialist. Explore the site now to uncover more about Dr. Conrad and the services offered.